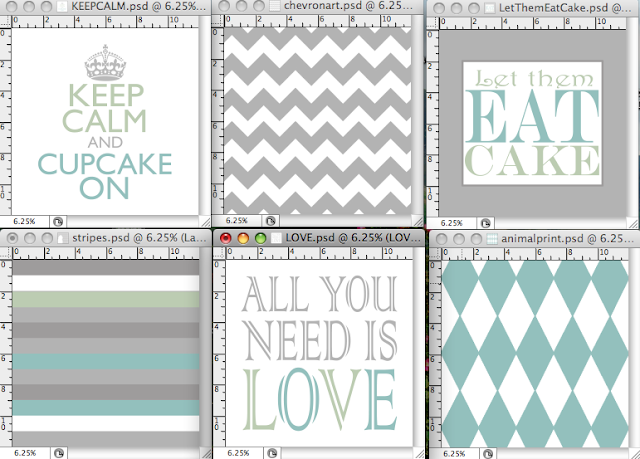 I've been playing around with colors, patterns, and sayings but just can't commit! I'm naturally drawn to gray and originally they had no color. But, the blue and green colors used are two of my favorites. Two of the three saying have sort of an 'eating' theme since these will be in the dining area and I'd like the third saying to be something along the same lines but I'm having a brain cramp! Feedback, please!